The last time I checked, nonprofits were still businesses. People are served by a nonprofit’s actions. A nonprofit has staff that addresses those people’s needs. Planning is involved to ensure the business mission is carried out. There is money exchanging hands. 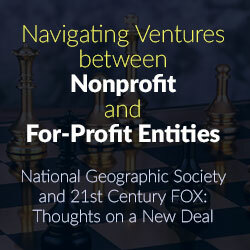 So tell me why a nonprofit and for-profit organization are different again? …except when things go bad. When that happens, people dart away quicker than a blink of an eye. Just ask the folks at the Susan Komen Foundation when it ended its Planned Parenthood funding how a small decision can impact long-term reputation, and how its poorly executed response perpetuated reputation damage. Or ask the Board of Directors at the Wounded Warrior Project about why it took so long to address its executives’ alleged lavish spending on themselves as opposed to where funds were most needed. 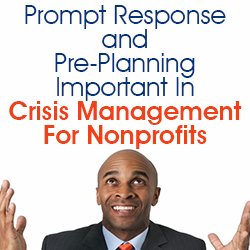 Despite the best intentions, many nonprofit executives don’t prepare for these episodes. 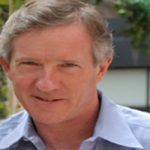 What’s more we human beings often become impulsive, emotional, and irrational when a crisis arises—and they are the very three responses that won’t help your cause. But smart executives plan for a crisis before and after it happens—as opposed to during it. That is what ultimately fuels long-term survival. Preparing for your “plane crash” makes other crises more manageable. For a few moments, step away from your nonprofit role and step into the shoes of an administrator for your city’s busiest hospital. Along with managing daily operations, she is also holding disaster drills to ensure the hospital is ready for any situation that comes its way. When disaster does strike, she manages public safety officials and the ambulances carrying patients so they get the best care; she manages staff and current patients within the hospital to ensure they are safe; she works with communications teams to keep media agencies informed; she has messages to inform families, media and others about the situation. Web sites and phone numbers are ready so patients and members of the community can learn about loved ones. Information is her ally. We would never wish for such an incident, but planning for YOUR worst case scenario with the right information allows you to align staffing and operations, and how needs change when Boards and executive teams have to flip the switch to “code red.” Thinking about the worst also allows you to plan ahead when things don’t cost as much to do—as opposed to when the crisis hits and your Board is authorizing spending that offsets organizational mission. Think about the effects of your actions before AND AFTER making your decisions. No matter what Boards of Directors say to the contrary, there is always room for second and third opinions about a decision being made, the timing in which it is being enacted and (important to this day and age) how social media could respond to the decision. 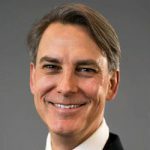 Bringing back our example at the Komen Foundation, the YouTube video and countless posts on Facebook and Twitter about how poorly executed the plan was did so much damage to the reputation of the organization; no one had sought opinions about how or if the decision would affect the reputation of the brand or those associated with it. The organization and its PR team spent countless dollars and resources trying to restore its reputation—and to this date, it’s still not totally forgotten. Review AND MEASURE policies for future needs. 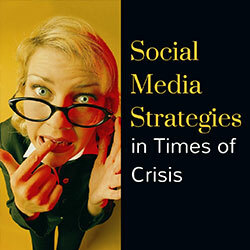 When a crisis hits, you need fingers on the pulse of what your stakeholders and influencers think about a situation. Importantly, though, you need to stay in constant communication with them so they know you’re addressing the problem—and proving it to them. Stakeholders know when an adverse situation is being swept under a rug. They don’t want to see statements; they want to see proof that change is happening. Measurements go farther than process; show your stakeholders what the changes look and feel like—and secure their inputs. To be sure, no two crises are the same. But a little planning ahead of and after the issue can go a long way. How far do you want to plan? That’s up to you. 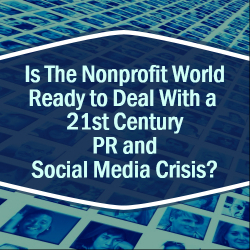 There are very few certainties among charities and NGO’s, but one thing that’s just as sure as 990 filings is that at some point, some time, your group will face a crisis. Perhaps a spokesperson or executive said something ill-advised and it got picked up, or maybe a staffer made a mistake. These things happen to every group, and it is important to have a swift response. Where will the first response come from? A press release, web story, social media? Who needs to approve talking points and communications? Set up a review process that is as streamlined and efficient as possible. 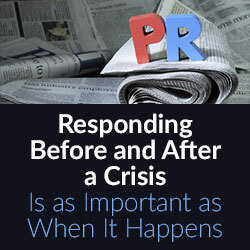 How will we communicate internally during a crisis? Email, phone, in-person meetings, etc. Who will be responsible for responding to stakeholders? 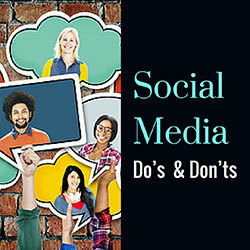 Especially in smaller groups where one person functions as social media, public relations, and webmaster, make sure to divvy up the work so that this person isn’t overwhelmed. Decide who will respond on social media, to media requests, and to emails. If there are enough staff members, try to divide up time so that each person gets a break. In a larger group, your next step should be to set up a crisis email list that includes all of the relevant people, and also gather all of their cell and home phone numbers. A crisis doesn’t care that it’s 3:00 p.m. on a Saturday. Once you have a basic plan in place, run through a few hypothetical situations. What would we do if…? How would we respond if….? 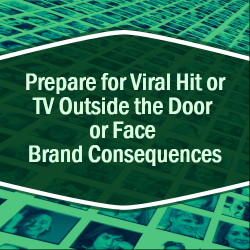 These examples will depend on the type of group you have, but your communications team and executives will know what your weaknesses and threats are, and what things are most likely to come up in a crisis. It’s also helpful to know which other people from your group would need to be pulled in for various situations. For example, if there’s an issue with a volunteer, you would need your volunteer coordinator involved in your crisis plan. So you have a plan, you’ve practiced, and you’ve put it out of your mind as you continue your hectic daily work. Until… crisis. You see the first angry comments start to trickle in on your Facebook page. Then there are a few tweets asking about the situation and demanding answers. Stay calm and put your plan into place. Get answers internally, and get your initial statement ready. The most important thing to remember is to remain calm and try to emotionally detach yourself from the situation. If you respond emotionally, you will only add fuel to the fire; stay professional always. In general, your response should take on three stages: acknowledge, rectify, move on. Acknowledge: We understand that some of our supporters are upset by recent comments…. Rectify: We hear your concerns and will be incorporating your feedback into our program…. Move On: Continue with your usual schedule. You don’t want to dwell on the negative, and by doing so you’re only letting more people know about the issue. Keep answering questions/concerns/comments that come in, but move on. In the midst of a crisis, it can feel like it will go on forever. But take heart, this too shall pass. And once it does, the work isn’t over. Did we follow our crisis management plan? If not, where did we stray from the plan and why? What happened that we didn’t plan/account for? How can we work those unexpected things into our plan? How did our stakeholders respond to our statement(s)? Were there certain statements that people responded more positively to? What did they have in common, and how can we craft future statements to more closely resemble those? What themes did we see in people’s complaints? 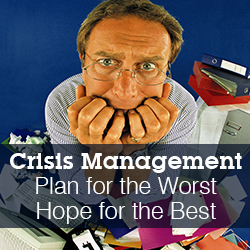 These steps should help you successfully manage a crisis and live to tell the tale.